Grand Sierra's versital Highland Timber Camo 3-in-1 Fleece Hood can be worn as a hood, neck gaiter, or face mask. This functional camouflage hood is constructed with flexible sport fleece which is a natural insulator offering flexible comfort and durability. An elastic cord and toggle allow you to make the adjustments for a perfect fit. Grand Sierra&apos;s versital Highland Timber Camo 3-in-1 Fleece Hood can be worn as a hood, neck gaiter, or face mask. 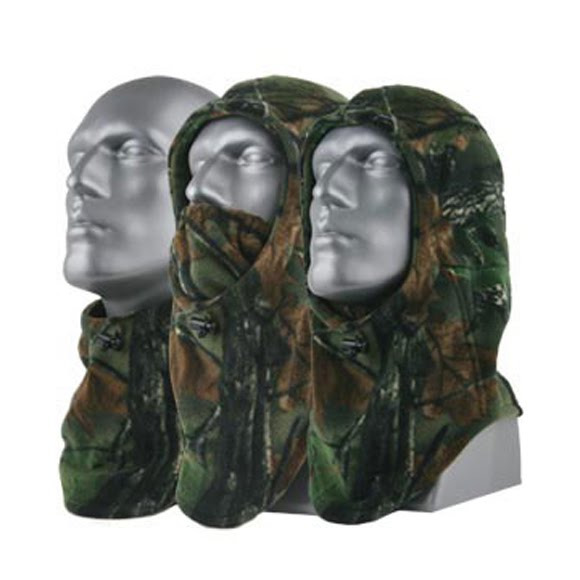 This functional camouflage hood is constructed with flexible sport fleece which is a natural insulator offering flexible comfort and durability. An elastic cord and toggle allow you to make the adjustments for a perfect fit.